This past week was a busy week in our local congregation — our annual Vacation Bible School. 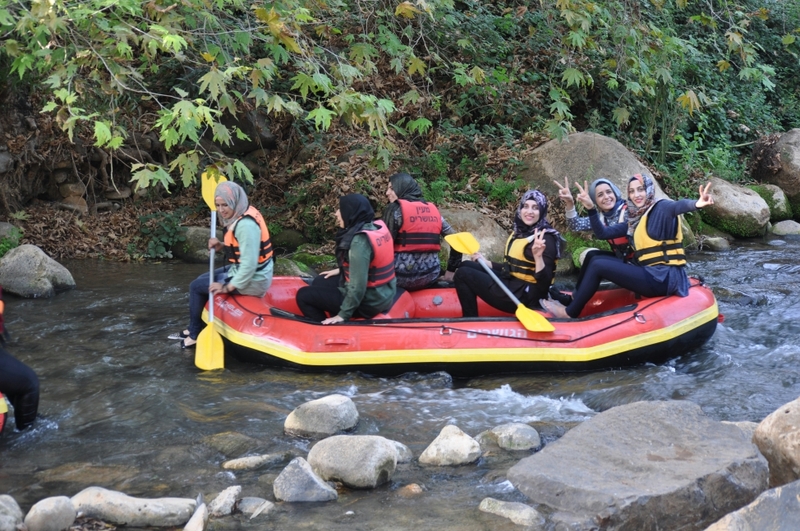 The theme was “Soaring to Bible Places” and included lessons from three Old Testament and two New Testament texts. Our studies took us to Capernaum, where Jesus healed a Centurion’s servant, and commended the Centurion for his great faith (Jesus marveled!, Matt. 8:5-13). 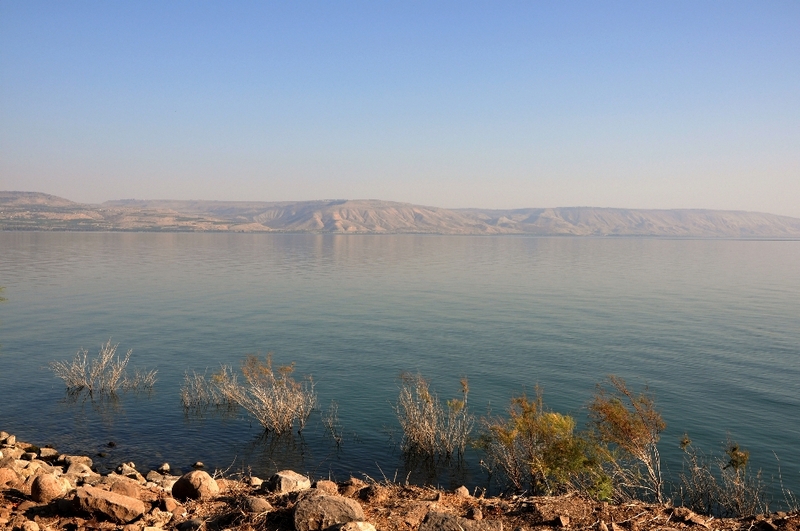 From Capernaum you have a beautiful view of the Sea of Galilee. 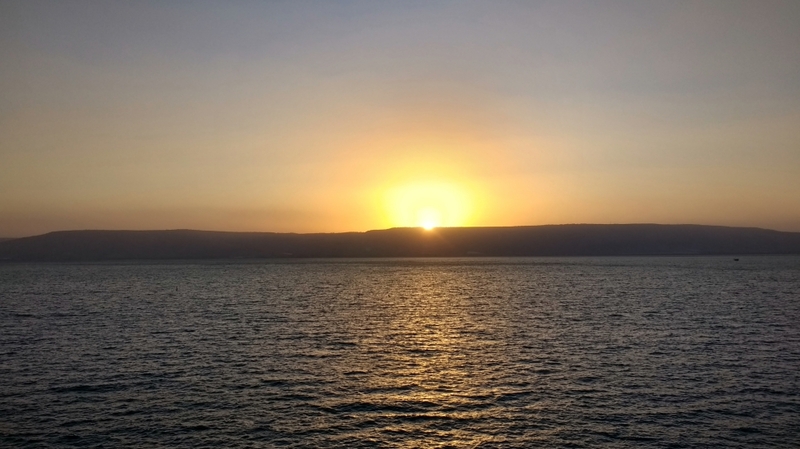 Sea of Galilee, looking east from Capernaum. Photo by Leon Mauldin. I enjoy showing photos such as this to children and adults alike, to help us visualize the setting of the biblical world. 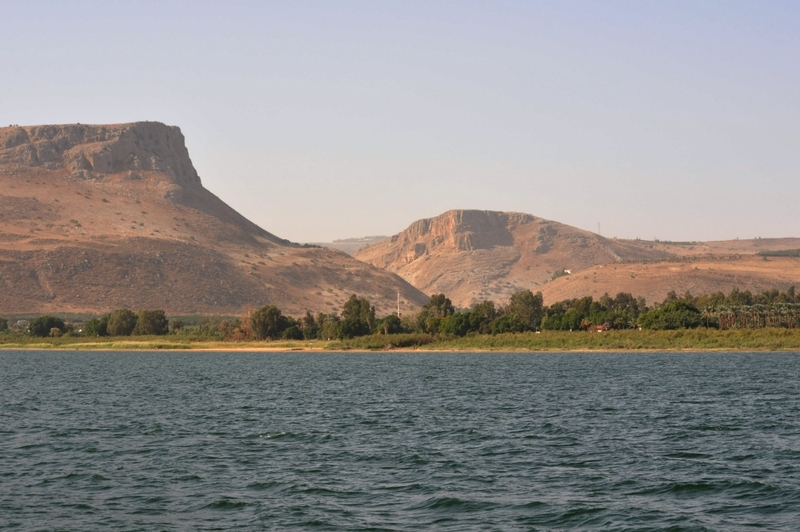 It was in this very area that Jesus did so much of His earthly ministry. 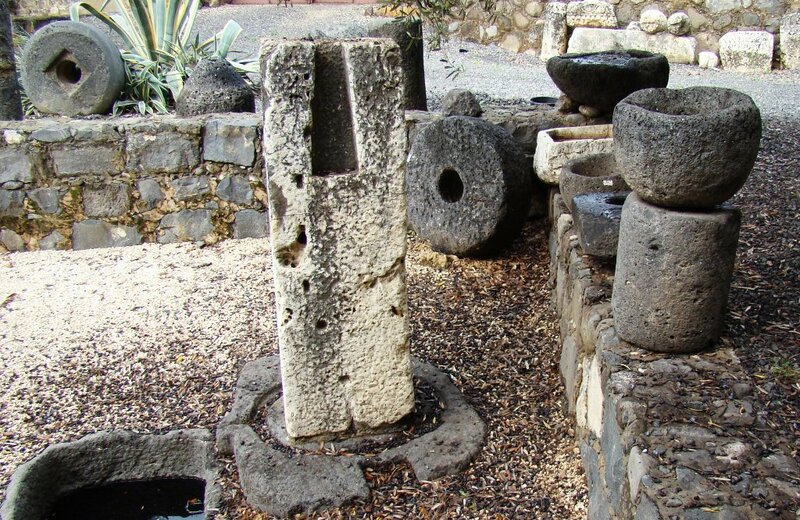 Millstones were manufactured at Capernaum from the volcanic basalt which is so common in the Galilee. The coarse texture was very suitable for grinding wheat. Such millstones were not only used in Israel, but were exported from Capernaum to many other places. Capernaum was located on a major trade route, the Via Maris. Millstones manufactured at Capernaum from volcanic basalt. Photo by Leon Mauldin. But whoever causes the downfall of one of these little ones who believe in Me– it would be better for him if a heavy millstone were hung around his neck and he were thrown into the sea (Mark 10:42, CSB). 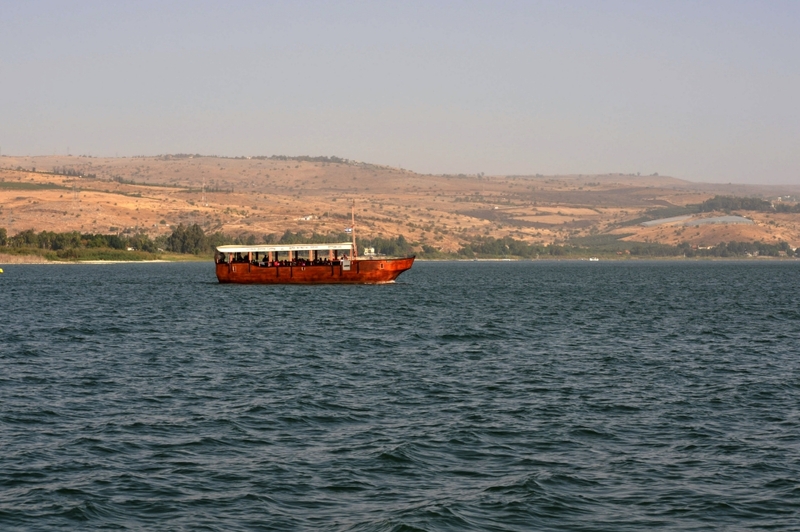 Capernaum was located on the shore of the Sea of Galilee. In this teachable moment Jesus was using word pictures the apostles could relate to: To have a millstone tied about one’s neck and then thrown into the sea to be dragged down by that heavy weight and die such a terrible death! But Jesus is saying that the worst kind of death would be preferable to one’s being the occasion of someone’s being lost eternally. What a powerful lesson, taught by the Master Teacher. All of us have influence, and for that influence we will give account unto God; make it good! Last evening we arrived in Jerusalem, but I did not post last night as I was having internet problems. 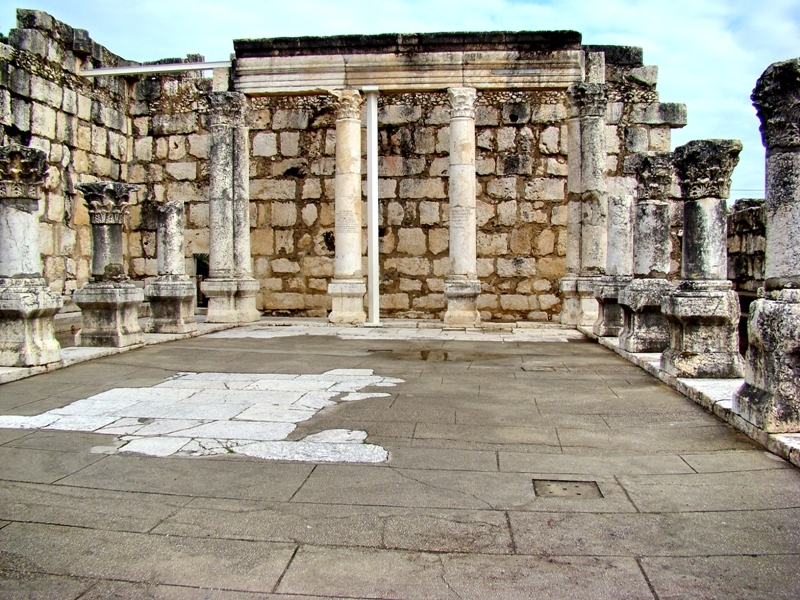 The impressive remains of a beautiful white limestone synagogue can be seen at Capernaum. 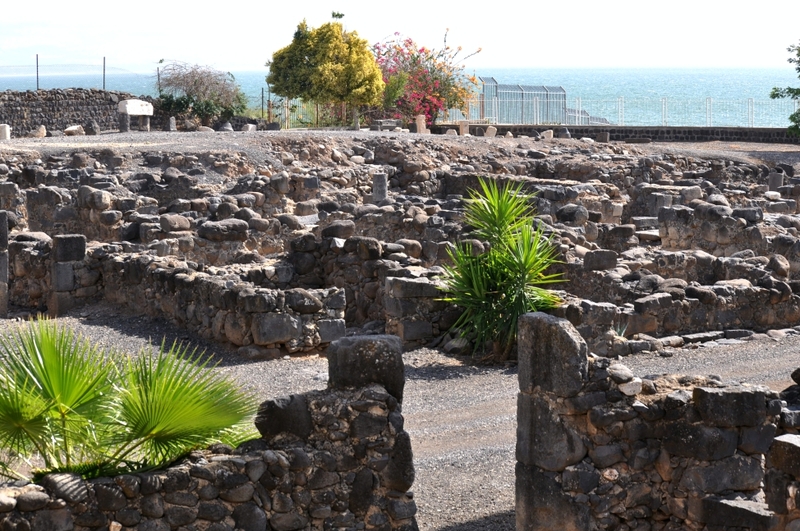 While these ruins are post 1st century, excavations below these remains show evidence of an earlier synagogue, built of black basalt stones, which hasbeen determined to be of AD 1st century usage. Synagogue at Capernaum. Photo by Leon Mauldin. Capernaum was among three cities Jesus publicly rebuked for their unbelief manifested in their refusal to repent at the preaching of Jesus. The inhabitants of Capernaum had received much, but believed litt.e There is a biblical principle here: “For everyone to whom much is given, from him much will be required; and to whom much has been committed, of him they will ask the more” (Lk. 12:48). 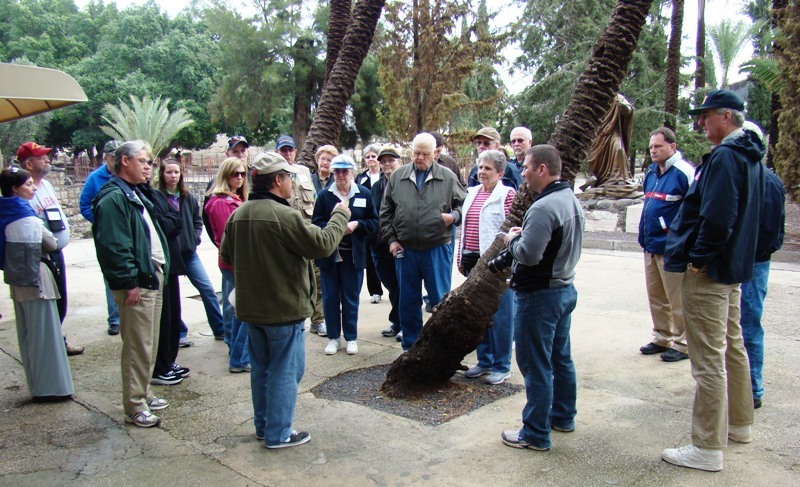 While at Capernaum I took a group shot as our guide Elie was giving info re: the site. Group shot at Capernaum. Photo by Leon Mauldin. Thanks for following our travels. It is a joy to do biblical studies on location.